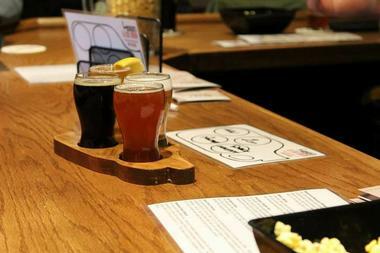 Craft brewing is big news in Illinois. The last few years has seen a dramatic increase in the number of small craft breweries which are popping up all over in response to the demand for artisanal brews. Many of the most successful craft breweries had their origins in home-brewers kitchens and cellars, where the brewers honed their skills before offering their distinctive beers to the public. 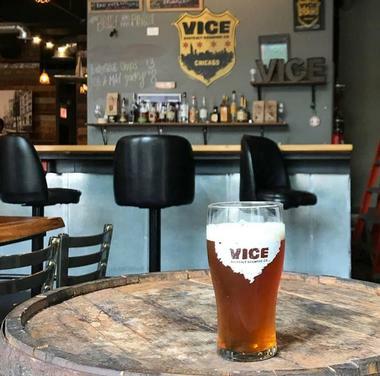 Located in Chicago’s South Side, Vice District Brewing is more than just a brewery – it is a popular community gathering place where locals and visitors can meet to relax and chat over a great craft beer. The Tap Room offers a rotating selection of diverse brews – Vice District Brewing likes to offer their patrons a wide variety of beer tastes and styles – and everyone is welcome including families and even your four-legged friend. Some of the popular brews on offer include Pleasure Trip (Blond Ale), Everleigh (English Bitter) and Small Town South (Porter). Seasonal additions include a Coconut Porter and an Irish Red Ale. 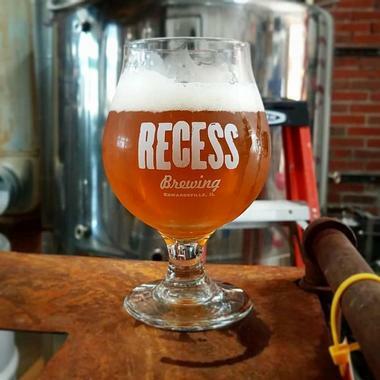 Dedicated to supplying the Edwardsville community with quality craft beers and educating them about all the intricacies of producing a fine craft beer, Recess Brewing is a Community Sponsored Brewery in Edwardsville. The brewery has a large taproom where you can come and taste the current ‘on-tap’ options which include a large selection of flavorsome Ales together with a few other beer varietals such as Lager, Hefeweizen and Porter. Several of the craft beers are blended with unusual additions like coconut, coffee or chocolate to give them a unique character. 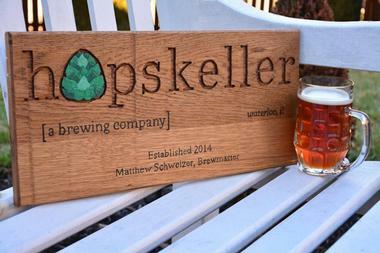 Memberships are available which entitle members to monthly Growlers and various other perks. 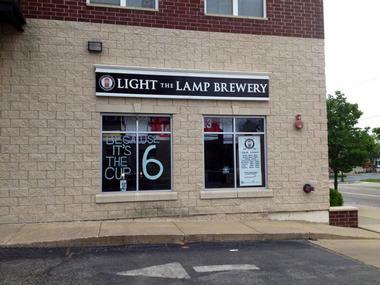 Located in the heart of downtown Grayslake, Light the Lamp Brewery is a true micro-brewery which had its’ roots in the owners home. Now occupying larger premises, the brewery’s taproom offers a small but interesting selection of beers which changes regularly. You can choose from a selection of beers, many of whose names reflect the dominant ice hockey theme of the town including Sin Bin Stout, Red Line Ale and the Strawberry Bench Minor. The taproom is open seven days and week and offers trivia competitions on Tuesday nights and Beer Bingo every Wednesday night. Gift vouchers and other branded merchandise are available from their on-line shop. Bosacki’s Home Brew is the perfect example of how one home-brew enthusiasts has turned his passion into a business. Owners Brigitte and Greg Bosacki now produce twelve delicious and unique beers in their micro-brewery – they encourage beer enthusiasts to come into the taproom and taste the various brews before buying the beers to take home and share with family and friends. Varieties include their personal take on IPA’s, Lagers, Porter and Ale and they also produce a seasonal cherry lager for summer. The taproom is open five days a week (closed on Mondays and Tuesdays) and you can check their online calendar to find out what specials and events are on offer. Inspired by a strong Chicago work ethic and assisted by a good helping of creativity and determination, the BuckleDown Brewery is proud to be producing small-batch craft beers in Lyons. The two-man team of master-brewers at BuckleDown enjoys brewing uniquely flavorful craft beers in a variety of styles. Currently their portfolio includes a Belgian style IPA called Fiddlesticks, an American IPA called Belt and Suspenders and a robust Porter called Shady Aftermath, amongst others. The BuckleDown taproom is open seven days and week and you are encouraged to drop in for a draft pint, enjoy live music on the weekends and buy some cans to take home with you for sharing. The Church Street Brewing Company is located in the western Chicago suburb of Itasca, where you can visit their taproom seven days a week. The family-owned and operated business has won several awards in the craft-beer sector for their distinctive range of European-influenced Ales and Lagers. Currently there are twelve different brews available, each of which has a distinctive name, origin and packaging. 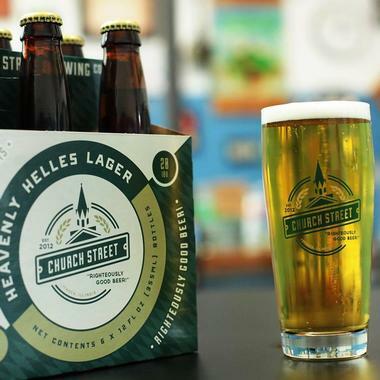 One of the most popular is their Heavenly Helles, featuring smooth malt flavors. If you prefer something a little sweeter you can try Devil’s Advocate, a spicy and sweet Belgian-style Ale. The brewery team is always happy to meet visitors and offer them a free tour of the brewery. Dry City Brew Works is a great place to meet friends, listen to some live music and taste a couple of delicious craft beers. The company is dedicated to producing a limited menu of distinctive artisanal brews and the varieties available on tap changes regularly. If you are not sure which brew to choose you can order a flight of four mini-brews to get a great overview of their range. On Friday nights you will usually find local musicians entertaining the crowd and they have also recently started serving food on the patio, courtesy of Bliss Culinary Heaven. Current brews on tap include Providence Coffee Stout, Ryejacked Rye Pale Ale and Kilty Plea Scottish Ale. The brew-masters at Hailstorm Brewing Company believe that their particular craft brews should stand out from the crowd and have big, bold and memorable flavor. They are constantly researching new and innovative ways to brew the best possible beer including the use of barrel fermentation and a range of exotic ingredients. For example, their Howdy Neighbor Kolsch (brewed in collaboration with neighboring 350 Brewing Company) will surprise your palate with bright strawberry flavors and a zing of lemon. Other interesting additives like honey, guava and passion fruit ensure an interesting selection of delightfully fruity summer brews alongside more traditional beers. On weekends you can enjoy live music and food trucks along with your brew. Conveniently located in the heart of downtown Waterloo, Hopskeller Brew Pub is the perfect place to meet friends for a pint of brilliant craft beer accompanied by a wood-fired pizza or other great beer-pairing food. Inspired by his travels in Europe and the American Northwest, brew-master Matt has won several awards for his North England and Northwest Coast American Ales. Be warned though – there is a long list of beers waiting to be sampled. If you’re not sure which to choose you can order a flight of six tasters to test the waters. In addition to delicious traditional malty Lagers and Ales you can also try their fruity Raspberry Ale, Creamy Peach Ale or Strawberry Wheat Ale. 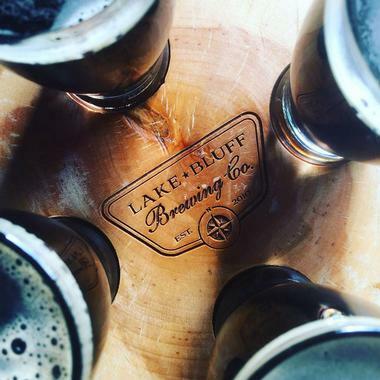 More than just another Brew Pub, the Lake Bluff Brewing Company is a community meeting place where visitors and locals come to sample an ever-changing variety of craft brews, admire art and listen to great music. All the beers available on tap have been brewed on the premises and the selection changes with the seasons and the availability of specialty ingredients such as the fresh peaches used to perfect the Peach Dog Days Hefeweizen. The Lake Bluff Brewing Company showcases art by both local and international artists – at each new show opening you will be able to sample a special-release craft brew. Music lovers will enjoy the chance to listen to a huge collection of vinyls as well as local live musicians as they sip their favorite beer. 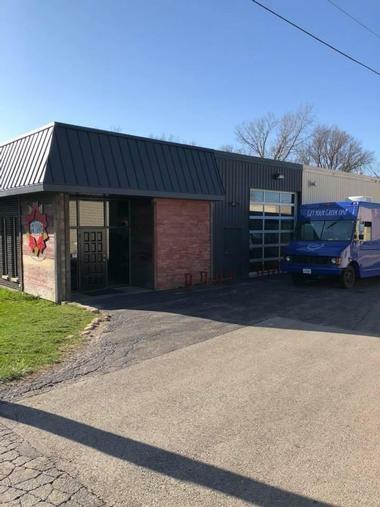 Chicago Beer enthusiasts who are looking for innovative craft beers brewed with passion should pay a visit to the Lake Effect Brewing Company, which is open each week from Monday to Saturday. 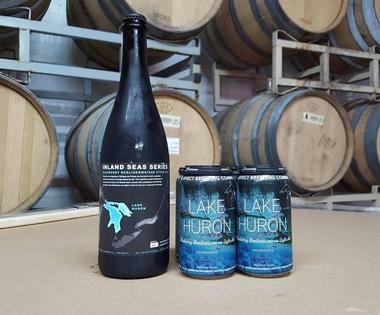 You can expect to find a range of eight intricate craft beers inspired by the inland seas of the Great Lakes region in the barrel-fermented Inland Seas Series. In addition the company brews a variety of seasonal beers including deliciously fruity infusions featuring watermelon (Pasteque) and grapefruit (Grapefruit IPA). To broaden their range even further Lake Effect produce several brews in collaboration with other craft breweries. You can learn all about the process and taste some of the latest brews when you join the Saturday Brewery Tour. 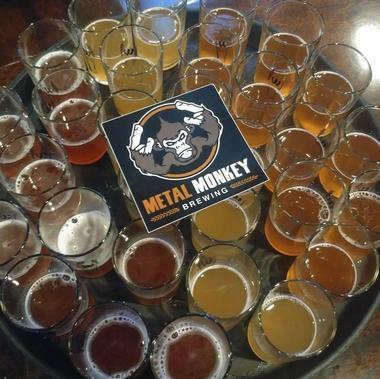 Like many of the craft breweries in Illinois, Metal Monkey came about when three friends decided to expand their home-brewing hobbies. Today you can visit their comfortable taproom where there are usually around 16 distinctive craft beers on offer. The best way to determine which of their brews is your favorite is to try one of their flights of four or eight varieties (excluding the barrel-fermented brews). Choices range from German-style Pilsners and Weisse Beers to American Ales and Stouts. Metal Monkey hosts regular events which include visits by food trucks, artisan markets and Monday trivia nights. The brewpub is open seven days a week and there are daily specials on offer. 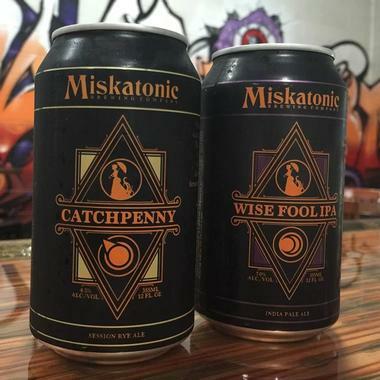 Step inside the taproom of the Miskatonic Brewing Company in Darien to sample a large rotating selection of freshly brewed craft beers. The outer taproom is a great place to enjoy your pint while you look directly into the brewing facility where you will often see the brewers in action. (There is also a heated/air-conditioned inner taproom). The craft beers on offer include a dominant collection of uniquely flavored India Pale Ales, accompanied by Belgian Strong Ale, a German-style Wit Beer (with vanilla , lavender and lemon peel), and a Russian Imperial Stout, to name just a few. The brewpub hosts various regular events including barbecues and visiting food trucks. 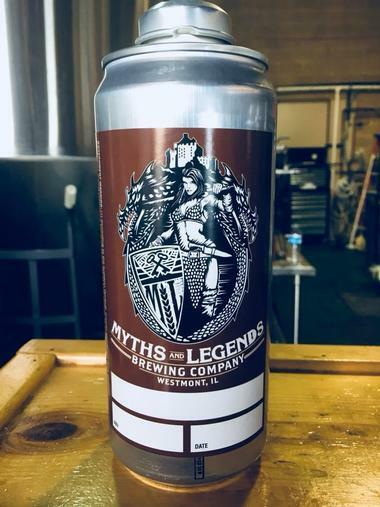 You will find the Myths and Legends Brewing Company tucked away in an industrial park off 63rd Street in Westmont. There is always a story or two behind the successful brewing of a great craft beer and Myths and Legends Brewing Company welcome you to come and learn about these myths and legends as you sip your pint or try a flight of samplers. The taproom features a rotating collection of “on-tap” beers which include Pale Ales and Porters, IPAs and Lagers. You can also take home some delicious craft beer to share with friends – bottles, 32oz Howlers and 64oz Growlers available. 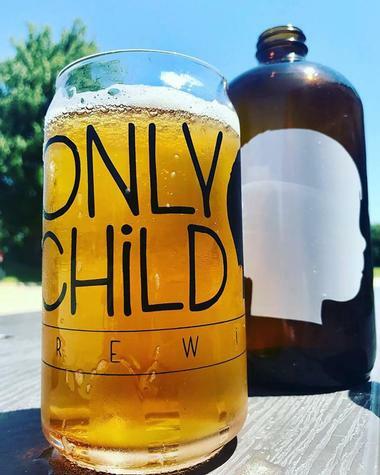 Only Child Brewing in Gurnee is family owned and operated and besides brewing great craft beers, their taproom is a great place to meet friends and family. You can try several interesting Lagers and Pale Ales, or try an Aushabsky – a peanut-butter White Stout with a solid 12% alcohol punch. Some of the on-tap beers are available to take home in can or 32oz Howlers and the kid-friendly brewpub has a selection of sodas for the kids. You can enjoy a game of Bingo alongside your brew on Tuesdays at 7pm. The brewery also hosts several regular events and tastings – you can check their on-line calendar for more info. At Penrose Brewing in Geneva you will find a fine selection of craft beers produced by a team of inventive and dedicated young brewers. At Penrose Brewing the team focuses on producing fresh hop flavors in their Belgian-inspired Ales, and experiment with alternative fermentation processes and barrel maturation to produce tasty innovative brews. You are welcome to visit their modern and inviting taproom, take a tour of the brewery and taste the fruits of their labor. The “on-tap” options chance regularly and some seasonal additions make their appearance from time to time. You can take some delicious freshly-brewed beer home in cans or Growlers and the Taproom is available to rent for special events. The Argus craft brewery occupies historic premises in Chicago’s south side. Located in what was once home to horse teams and carriages, the Argus Brewery is easily distinguished by two large terra-cotta horse heads which decorate the parapet of the building. 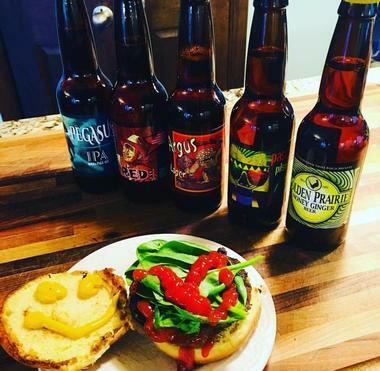 The family-owned business is operated by a father and son team who currently produce four distinguished craft beers including Pegasus IPA, Argus Lager, Bloodshot Red Ale and the Polish style Paschke Pilsner. 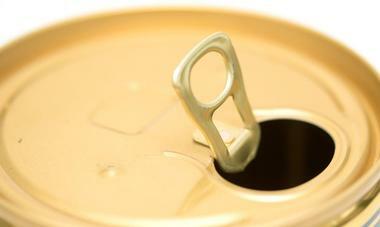 In addition, further examples of their craft brews are specially made for various restaurants. You can take a 90 minute tour of the brewery on Saturdays or join their exclusive Private Reserve Club to receive invitations to select private tastings. 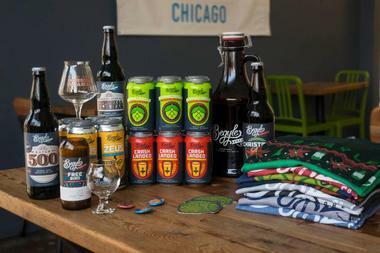 Located in North Center Chicago, Begyle Brewery makes a variety of interesting craft beers including a choice of Ales, Stouts, German-style Kolsch, a fruity Saison and a non-alcoholic Chilled Nitro Coffee. If you would like to know more about the production process you can join a 90-minute guided tour of the brewery every Saturday at 12.00pm. Your tour price of $10 includes a souvenir tulip glass and three pours; you will need to book your place online. You can come and enjoy a pint in the taproom, which is open daily, or buy your favorite brew in cans for growlers to take home with you. Weekend visitors to Murphysboro in Jackson County can look forward to enjoying a range of delicious craft-brewed beers at Bid Muddy Brewing Company. The brewery taproom is open to the public on Fridays, Saturdays and Sundays and you can learn all about the intricate brewing process by joining a tour on Saturdays and Sundays. 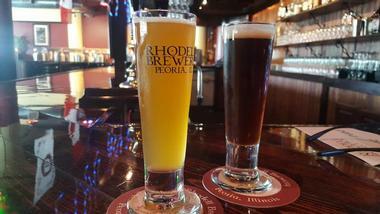 The brewery produces a variety of traditional-styled beers as well as some unique brews which are flavored with vanilla, pumpkin spice or blueberries. Do not be put-off by the start outer appearance of the brewery building – step inside to enjoy a great pint and friendly service. 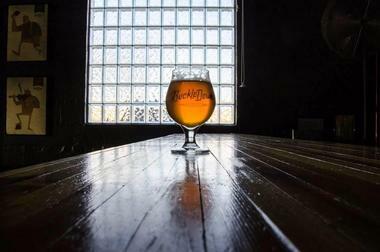 Twenty years ago Rhodell Brewery opened their first taproom offering three craft beers on tap. Now, with twenty years of experience behind them, the brewery is proud to offer thirteen hand-crafted beers made in various styles. 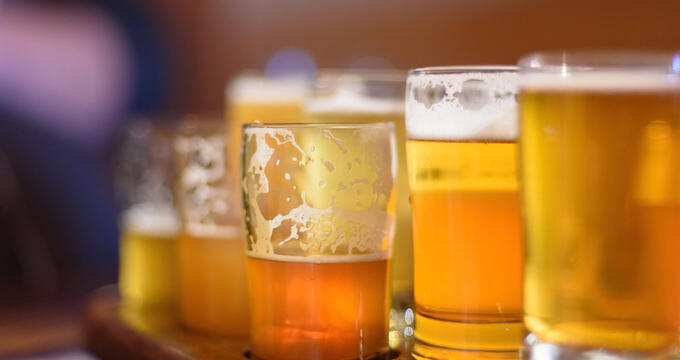 The on-tap collection includes British, Belgian and American style Ales and Lagers, all produced in small quantities to ensure dynamic flavor and character. 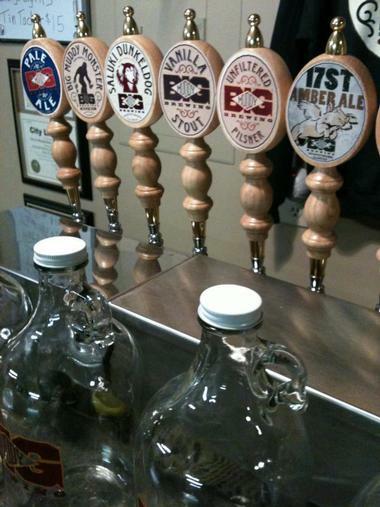 You can taste them all in the taproom or take home a 32oz or 64oz Growler to share with your friends. Rhodell Brewery encourages aspiring brew enthusiasts to come and try their hand at brewing a small batch of craft beer using the Rhodell Brewery equipment – bookings essential. 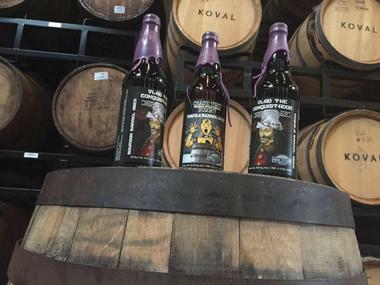 Located in Algonquin, a pretty village in the scenic Fox River Valley, Scorched Earth Brewing Company uses traditional old brewing methods combined with some modern twists like barrel aging to produce a range of complex and tasty craft beers. You can come and taste some beers in the modern Taproom or enjoy good-weather days outside in the Beer Garden from Wednesday to Sunday. A few of the most popular on-tap choices include Feisty Goat (an English-style Premium Bitter Ale), Exiled Angel (Belgian-style Golden Ale) and Rugged Coalminer – a robust Porter. If you would like to take your favorite brew home to share you can purchase a 64oz Growler or order a Keg for your party or event. 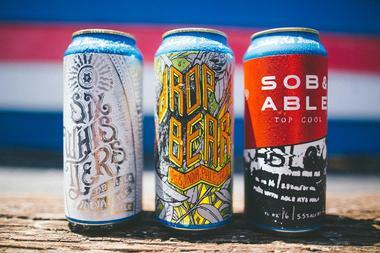 Driven by their passion for Belgian, American West Coast and Barrel-aged beers, Solemn Oath Brewery has been educating Naperville locals and visitors about fine craft beers since 2012. The brewery is based in an industrial park where visitors to the on-site Taproom can enjoy a view of the brewing process as they sip their delicious craft beer. The on-tap selections include several IPAs, the odd Belgian-style Pale Ale and Wit and an American Lite Lager called Bedroom Eyes. You can find out all about their extensive range of craft beers by checking their website where you can even find food-pairing suggestions for each beer. 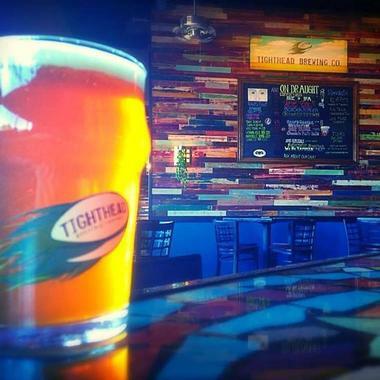 Located in the Chicago suburb of Mundelein, Tighthead brewery is a popular neighborhood brewpub where friends and family get together to enjoy excellent craft beers and live music. The brewery produces six year-round beers – mostly Ales – and a variety of seasonal brews which include an intriguing sweet-potato Ale, a Belgian Wit bier and a barrel-aged Barleywine which packs a substantial 9.7% ABV. The brewery serves a rotating selection of fresh brews on tap and offers cellar tours once a month on a Saturday. Wednesday nights are Trivia Nights at the Taproom and on Saturday nights you can enjoy live music as you sip your perfectly hand-crafted beer. 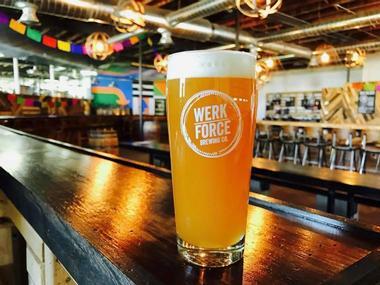 With roots in home brewing, Werk Force Brewing is an experimental brewery which strives to produce unique small-batch brews by using innovative methods and ingredients. At their Tap Room you can taste up to nineteen hand-crafted beers including several fruity India Pale Ales, an American Lager and a few German and Belgian-influenced brews. Most Weekends you will find a food truck supplying great eats to go with your beers and on some Saturday mornings you can join a “Go with the Flow” Beer and Yoga class. You can look out for Werk Force Brewing Pop-ups at local festivals and events and buy their branded merchandise online. At Zümbier in Waukegan, nothing but the finest small-batch hand-brewed beer will do. 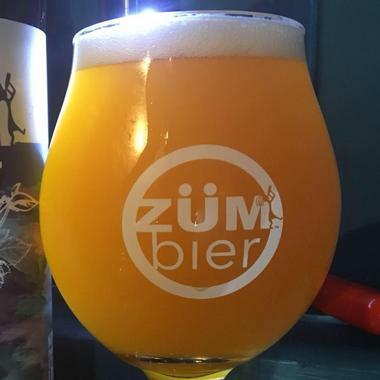 The brewers at Zümbier are dedicated to elevating their beers to gourmet standards and providing the ideal ambiance for visitors to get together and enjoy tasting a variety of beer styles and flavors. Some of the adventurous beers you can look forward to trying are the Maui Trickster (Milk Stout with chocolate and coconut hints), Zümbier Lauren Barrel-aged Vanilla Porter, Hefeweizen, The Comrade Imperial Stout and the every-popular Citra-Tasm, a fruity American Pale Ale. The brewery hosts regular games nights, movie nights, New Release events and food and beer pairings.